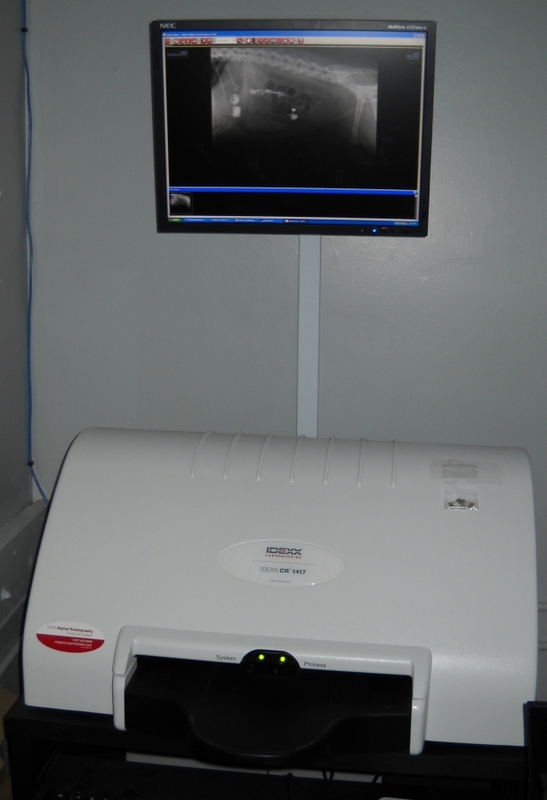 Seneca Falls Veterinary Hospital has a state of the art digital radiography suite. Taking an x-ray is very similar to taking a photograph. 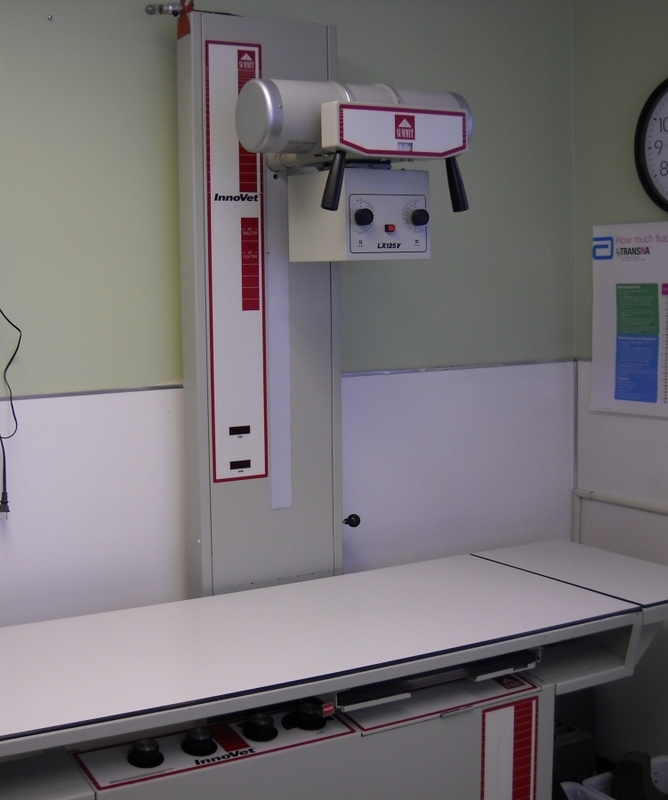 A film is placed behind the subject and the x-ray generator produces x-rays that expose the film. The film is then processed using a chemical process to make the final image. Digital radiography uses special film and a computer to generate the final image instead of a chemical processor.This is the newest technology for generating x-ray images. In the world of photography digital cameras have replaced film cameras. Digital cameras allow us to see our photos almost instantly instead of waiting for them to be developed. We can also easily store our photos on a computer and can adjust the photos with software and email the photos to our friends. Digital radiography offers us the same advantages. Our digital processor generates images quicker than regular film processing and the images are stored on a computer. We can adjust the image to magnify areas of interest or adjust the exposure to see more detail. The biggest advantage of digital radiography is the ability to email the x-ray to a specialist for a second opinion. We have partnered with PETRAYS radiology service to provide an expert second opinion on our radiographs. PETRAYS consists of a group of board certified specialists in radiology that are available 24/7 to offer an expert opinion on the radiographs that they receive by email. 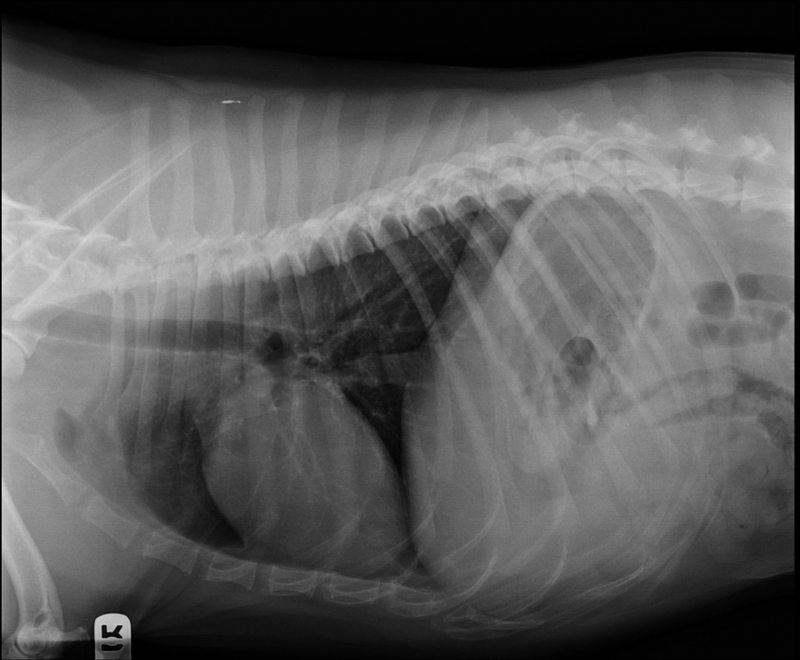 We can get a second opinion on our radiographs within a couple of hours of submission to PETRAYS. Here are a few examples of the images we can produce with our digital radiography unit. 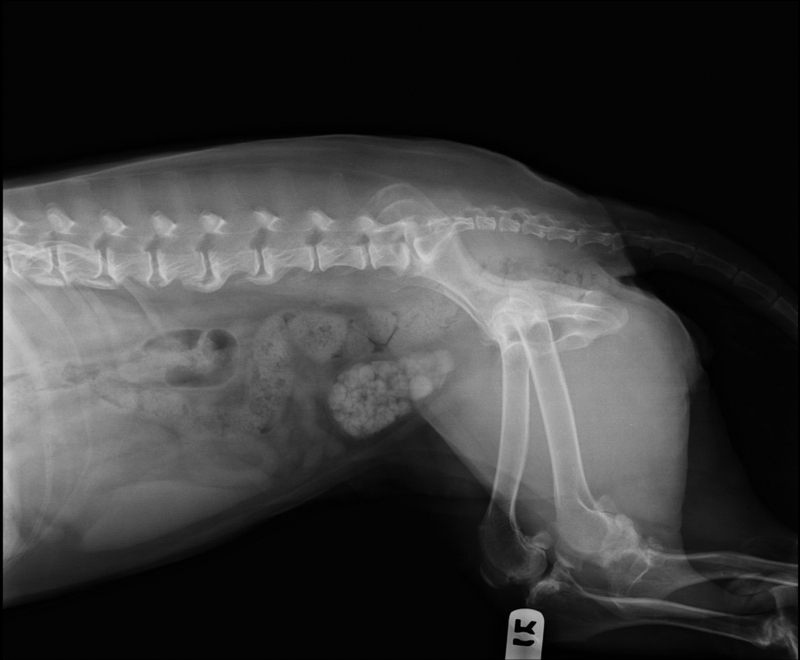 This dog has a bladder full of stones.The bladder is the pear shaped structure in the middle of the x-ray. This dog swallowed a golf ball. 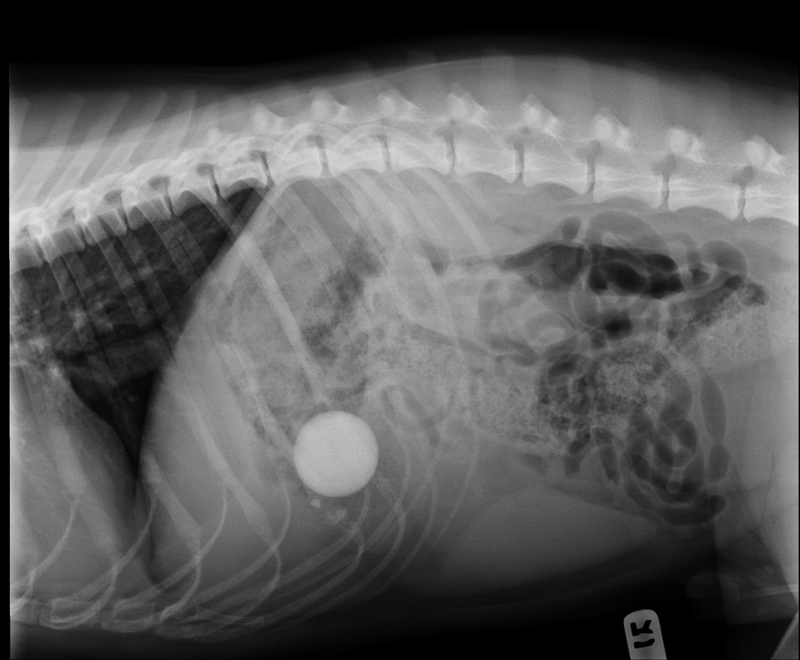 The white circle is the golf ball in the dogs stomach. This chest x-ray of a dog demonstrates the excellent detail that the digital processor can produce.